Over the last few days, I was trying to find a Black-legged Kittiwake. On this particular day, I noticed the Pigeon Guillemot, a common bird in the area waters that is not usually seen this close to shore from town. 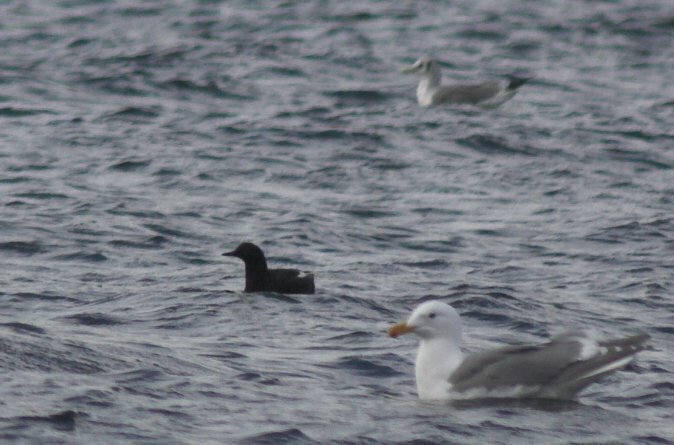 Only later, as I was looking at the photos, did I realize that the bird more distant than the Pigeon Guillemot it is a Black-legged Kittiwake. The near bird is a Glaucous-winged Gull.